The power of social media as a marketing tool has not escaped brands, celebrities — or The Federal Trade Commission. Last month the FTC issued warnings to celebrities who plugged products on their Instagram accounts without clearly identifying their relationships with brands. The letters were meant to "educate" the celebrities on how to post without violating the organization's disclosure guidelines. WWD has obtained the 90 letters sent to 45 celebrities, their agents and the brands they were publicizing. Top celebrities included Sean Combs, Naomi Campbell, Sofia Vergara, Heidi Klum, Victoria Beckham, Allen Iverson, Lindsay Lohan, Kourtney Kardashian, Scott Disick, Zendaya, Jennifer Lopez and Akon. In the fashion, beauty and retail space, letters were sent to Adidas, Chanel, Lorac Cosmetics, Chiara Ferragni Collection, Cabela's, Johnson & Johnson, Eos Products, Matisse Footwear, Yves Saint Laurent and Puma. Many of the posts in question have been taken down by the influencers either at the request of the brands or their agents. 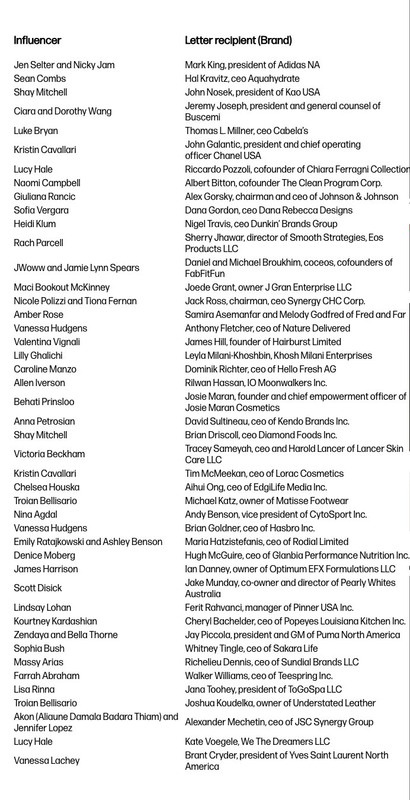 A full list of celebrities and brands appears below. The FTC said it sent out similar letters to each influencer to "call attention" to the post in question. Each letter reads: "The FTC's Endorsement Guides state that if there is a 'material connection' between the endorser and the marketer of a product — in other words, a connection that might affect the weight or credibility that consumers give the endorsement — that connection should be clearly and conspicuously disclosed, unless the connection is already clear from the context of the communication containing the endorsement. Material connections could consist of a business or family relationship, monetary payment, or the provision of free products to the endorser." The organization explained that disclosures, which commonly takes the form of #ad in a post, should be "clear" and conspicuous" and use "unambiguous language" that "stands out." The FTC cited cases in which disclosures appeared in captions at the bottom of a post, and were only found if consumers clicked on the "more" button to reveal the full text. Multiple hashtags, tags and links also were frowned upon, as they obscure the disclosure. For further clarity, the FTC enclosed two endorsement guides, which address ethical issues about credibility and whether accepting free products means influencers need to disclose that relationship to fans. In most cases, the FTC tends to err on the side of disclosure, even for athletes who are known ambassadors of brands. 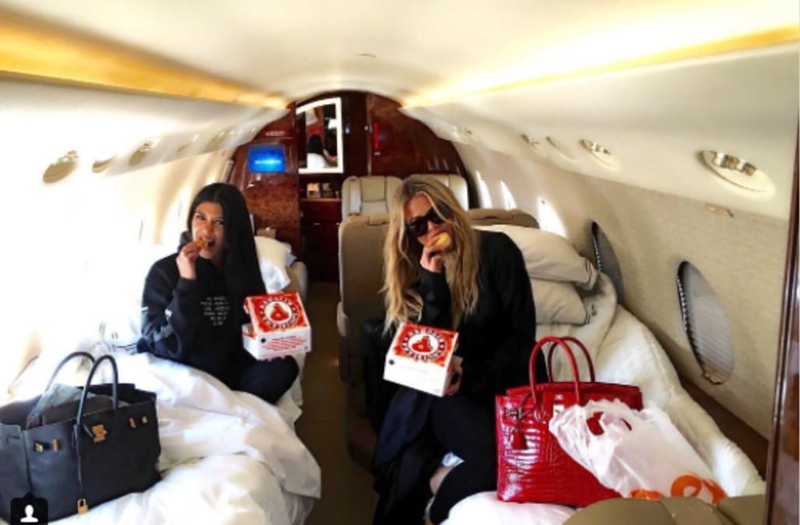 The issue becomes murky when influencers are merely sharing that they are a fan of a particular product or brand. To that, the FTC says: "If you write about how much you like something you bought on your own and you're not being rewarded, you don't have to worry." But in a handful of the cases, the FTC still insists on clarity. For instance, Victoria Beckham, who was sent a letter, posted about the brand Lancer Skin Care. The designer is pictured with its Contour Décolleté product and writes: "Loving this new contour by Décolleté by my friend @drlancerrx kisses from Los Angeles us X vb." Here, the FTC advocates for Beckham to disclose whether she has a financial or other business relationship with Lancer Skin Care, even though she refers to Dr. Lancer as a friend. Lancer aside, such posts may be difficult to police and create a slippery slope where influencers, brands and perhaps media companies and editors are put under a microscope.